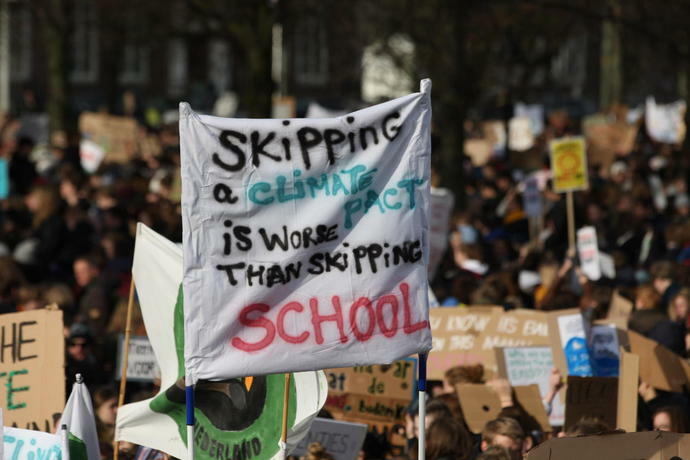 THE HAGUE, Netherlands (AP) - Thousands of students skipped classes Thursday and marched past the Dutch parliament, calling for more ambitious climate policies in the Netherlands. 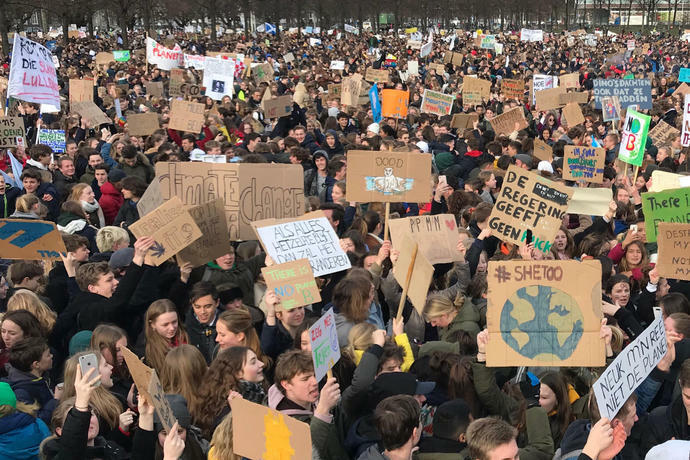 The noisy but peaceful demonstration by Dutch students follows similar marches in recent weeks in neighboring Belgium that also have drawn thousands of protesters. 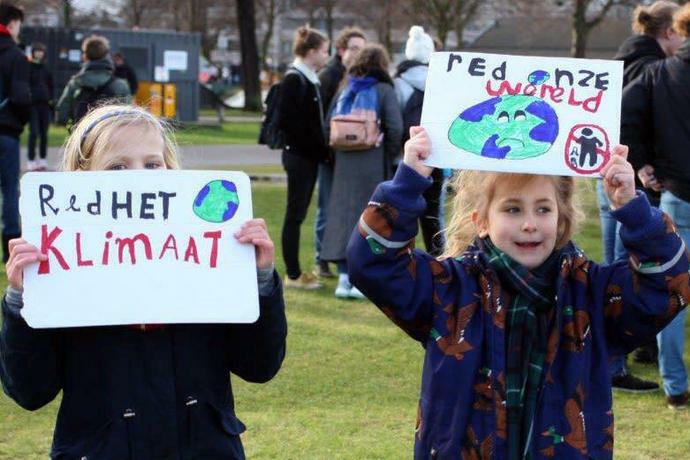 Organizers said they want to send a wake-up call to politicians in the Netherlands who are wrestling with how best to rein in greenhouse gas emissions. They had hoped for some 3,000 marchers but got far more, although police did not immediately give an official estimate of the crowd's size. 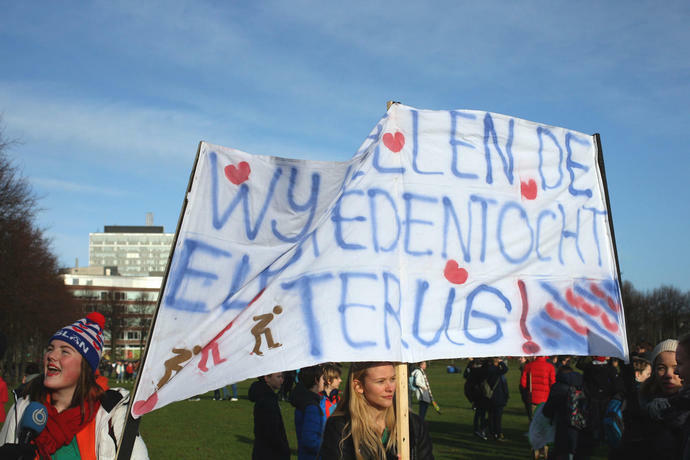 "We're here because we want the government to take quicker and better steps to improve the climate," said 16-year-old Maartje Bood, who had traveled 200 kilometers (125 miles) from the northern city of Leeuwarden to take part in the march. She and her friends were holding up a banner that said in Dutch, "We want our 11 cities race back," a reference to a marathon speedskating race over frozen canals in the northern Netherlands that is only staged in very cold winters when the ice is thick enough. The last race was held in 1997. The Dutch Environmental Assessment Agency said in a report last month that a court-set target of reducing emissions by 25 percent from 1990 levels by 2020 is "out of reach." A group of about 350 scientists and researchers published an open letter in support of the march, saying it is "high time for tough measures to quickly and drastically reduce greenhouse gas emissions." Berber Neef, a 17-year-old student who told her school she was sick so she could attend the march, agreed. "The earth is warming up, everyone knows that," she said. "We need tougher measures. The government has to act." Plans by oil and gas majors to spend $4.9 trillion on fuel exploration are "poles apart" from the goal of the Paris climate deal to limit the global temperature rise, a new analysis showed Tuesday. As greenhouse gas emissions continue to climb annually, a string of warnings from the world's top climate scientists have questioned mankind's ability to prevent the worst effects of global warming while sticking with an economy geared around fossil fuels. In October, the UN's climate change panel (IPCC) issued a landmark report saying that a 1.5 Celsius target laid out in the Paris accord could only be hit with near-immediate and drastic cuts in production and consumption of oil, gas and coal.